If you troubleshoot Macs on a regular basis, sooner or later, you’re going to need an old Mac OS X install CD or DVD. Only the truly organized will be able to locate that Mac OS X 10.5 Leopard DVD they last used two moves ago. 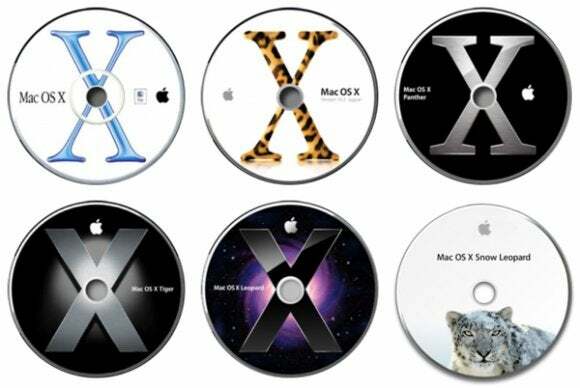 For those of you looking to find a way to replace your old Mac OS X install discs, we’d like to offer the following suggestions. You’ll find it all on eBay, albeit not at the best possible prices. 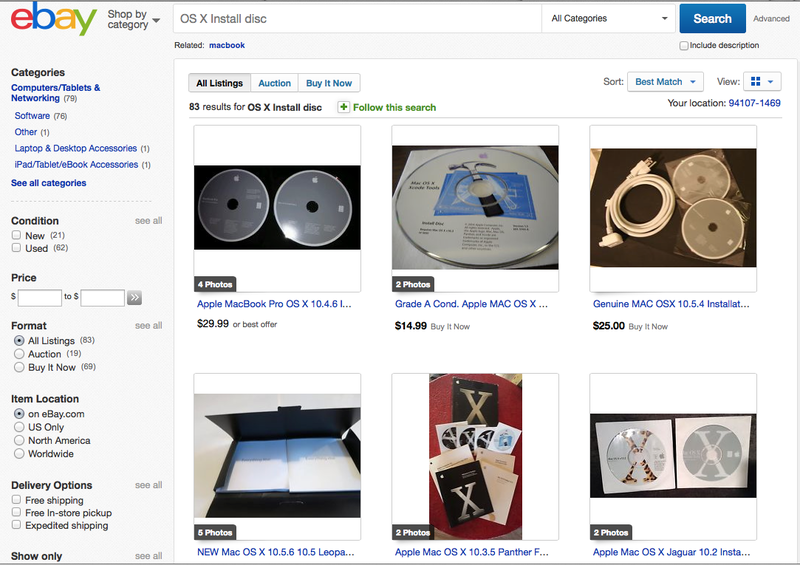 Like any commodity that’s not being produced anymore, original Mac OS X installation CDs and DVDs are being kept, hoarded, and sold at impressive profits. Remember when Apple routinely insisted that $129 was a reasonable amount to jump from Mac OS X 10.3 to 10.4? Well, the person who kept their boxed installation disc would like to see their money back—and it’s going to come out of your pocket. Still, eBay is the place where the selection is the most optimal, the price competition remains fierce, and odds are you can find exactly what you need and have it on your doorstep in a few days’ time. Check that the seller has a reputation around or close to 100 percent before you order what you need. If it’s for sale and local, you’ll find it on Craigslist. Log in, check the local computer equipment listings and you should be able to find what you need, or at least someone who has a good lead on the Mac OS X CD or DVD that you suddenly found yourself needing for a project. Unlike eBay, there’s a little wiggle room for negotiation once you’ve contacted the seller via phone or email, so use this to your advantage and with any luck, they’ll come to you with the product. Like anything else with Craigslist, be on the lookout for scams, deals that seem too good to be true, and the like. Contact the seller, see how you get along and with any luck, you can have the install disc you need by the end of the day. You’ll have to dig around and pen them into your calendar, but you’ll find what you need here plus Mac-based advice and camaraderie to boot. Growing up in the 1990s, Macintosh User Group techie yard sales were among the greatest things on Earth and allowed you to find almost any piece of hardware or software that you might need. This tradition continues and Apple still keeps a list of physical Macintosh User Groups as well as online-only Apple User Groups, so see what’s near you. 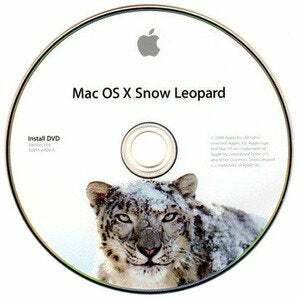 Once your older Mac OS X CD or DVD is in your hand, set aside some time with Disk Utility and some blank CD-Rs, DVD-Rs, or, in the case of the Mac OS X 10.5 Leopard and Mac OS X 10.6 Snow Leopard operating systems, dual layer DVD-Rs. These are your property now, they’re yours to back up and there’s always the chance that someone will be happy to buy your original disc somewhere down the road.